gazdetect.com is edited by GazDetect, LLC capitalised at €100000 located ZAE – 3 rue des Fossés in Vert-SAINT-DENIS (77240),France. This company is registred in the MELUN Trade and Companies Register (TCR) under number 501777486. In accordance with legislation (article 286 ter of the General Tax Code), GazDetect company is subject to value added tax and is identified uner number FR 43 501777486. 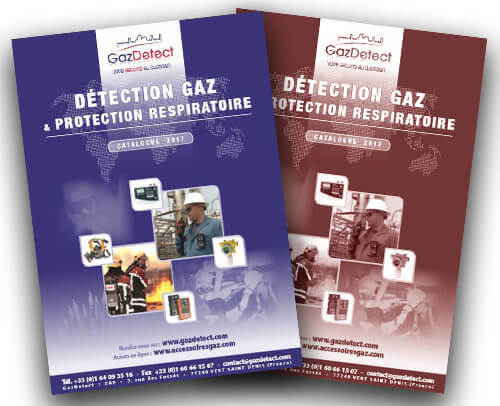 Didier COLLIN, GazDetect company manager is the managing editor of gazdetect.com and its editorial manager. gazdetect.com is hosted by OVH company based 2 rue de Kellermann – 59000 Roubaix, France. The general structure and the content of gazdetect.com (texts, images, modifications, videos) are properties of GazDetect company. No use (adaptation, modification, distribution, reproduction) in whole or in part will be permitted without written agreement from GazDetect company. Any unauthorized utilisation of the content of the Website as mentionned in articles L.3335-2 from the Intellectual Property Code constitutes counterfeiting liable or prosecution. According to the data protection and freedom or information law 78-17 from 6 january 1978 modified, you have a right to opposition (art. 38), to access (art. 39), to modify or to delete (art. 40) datas that concern you. You may do so by contacting GazDetect. All personal datta xhich is gathered is treated in the strictest confidence. GazDetect works in particular to respect the confidentriality of e-mails.